Everyone is confused by the partial government shutdown. But at FDA, its mission to protect public health must now be balanced with available user fee funding and no new fiscal appropriation, which can cause more confusion as to what is and is not happening at FDA. Hear from former senior FDA officials about shutdown rules, how they have been applied in the past, and what happens as the carryover user fees dwindle. 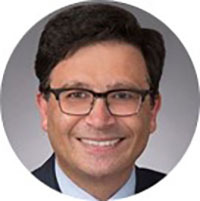 HOWARD SKLAMBERG is a partner at Akin Gump Strauss Hauer & Feld LLP. From 2014-April 2017, Howard served as USFDA’s Deputy Commissioner for Global Regulatory Operations and Policy, where he oversaw the Office of Regulatory Affairs and the Office of International Programs. He led or co-led many quality and safety efforts (including inspection modernization and program alignment) and the negotiation and implementation of GDUFA and GDUFA II. Howard directed FDA’s multilateral initiatives and its overseas offices. Howard also served as Director of CDER’s Office of Compliance and Deputy Associate Commissioner for Regulatory Affairs. 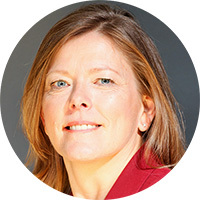 REBECCA “BECKY” WOOD is co-leader of Sidley’s Food Drug and Medical Device Regulatory practice and the D.C. Healthcare and FDA group. Until recently, Becky served as Chief Counsel to the Food and Drug Administration (FDA), where she was the principal legal advisor on major initiatives addressed by the Commissioner and agency leadership. Prior to her government service, Becky had nearly two decades of experience counseling FDA-regulated entities in company-threatening litigation in trial and appellate courts. 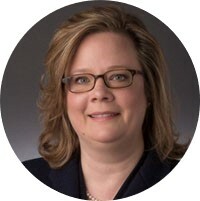 AMY COMSTOCK RICK, JD, is the President and Chief Executive Officer of the Food and Drug Law Institute, having joined in August, 2014. Prior to joining FDLI, Ms. Rick was the Chief Executive Officer of the Parkinson’s Action Network (PAN) from 2003-2014. PAN is a Washington DC-based national nonprofit focused on educating the public and government leaders on better policies for research and therapy development and an improved quality of life for people living with Parkinson’s disease. Ms. Rick has also served as the President of the Coalition for the Advancement of Medical Research, on the Boards of Directors of Research!America, the National Health Council, and the American Brain Coalition. Before joining PAN, she was the Senate-confirmed Director of the U.S. Office of Government Ethics from 2000-2003 and the Associate Counsel to the President in the White House Counsel’s Office from 1998-2000. Ms. Rick began her federal service as a career attorney at the US Department of Education in 1989 and became the Assistant General Counsel for Ethics in 1993. Prior to her government service, Ms. Rick was an associate attorney at the law firm of Beveridge & Diamond. She received a Bachelor of Arts degree from Bard College and a Juris Doctor degree from the University of Michigan.